For the last few months our wonderful Custom Curtains team have been donating their time and materials to making dozens of gorgeous blankets. Yesterday, we were so happy to visit the Dogs Trust Leeds branch to gift these handmade delights to the homeless pups… 101 Donations, to be precise! The scale of operations at Interior Goods Direct means that hundreds of metres of high end material is wasted every month, despite us donating as much as possible to charitable causes and schools. By getting involved with projects such as this, we are able to help those in need whilst also minimising waste, both of which we feel very passionately about. Our team decided to start making dog blankets to gift to local charities, and what started as a small pile of handmade blankets soon turned into huge towers, as so many staff members wanted to help out. 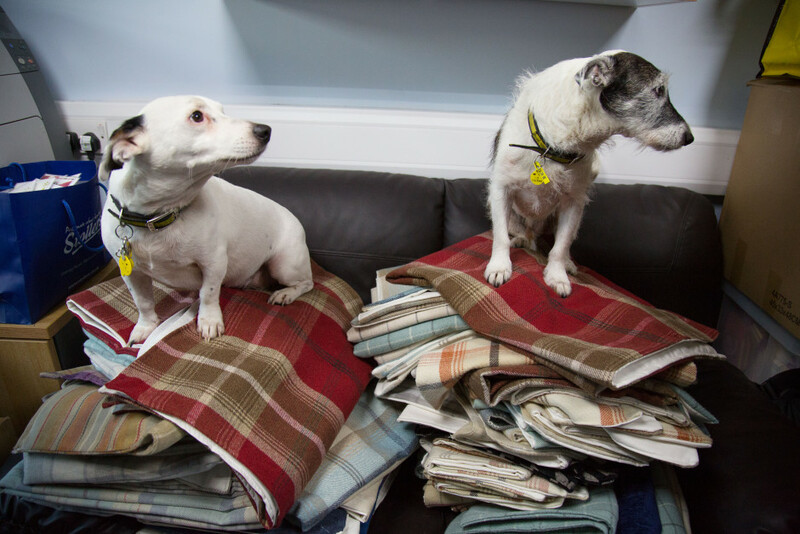 We got in touch with Dogs Trust Leeds’ branch to see if they had any need for blankets, and they were super keen on the idea. They even invited us over to hand deliver them, which meant we could meet all the lovely pups that we’d spotted on the website. We visited the centre yesterday afternoon, meeting up with Sarah, who treated us to a private tour of the site. Sarah also introduced us to the residents and told us stories about them. We were delighted to meet little Nolan and Dennis too, who posed for us upon a pile of blankets. Thanks guys! With 101 Donations from us, Dogs Trust Leeds will now be able to sell some of the blankets at their annual ‘Santa Paws Weekend’, raising funds for the charity, while the rest of the blankets will be given to their dogs and pups to make sure they’re extra cosy this Christmas. 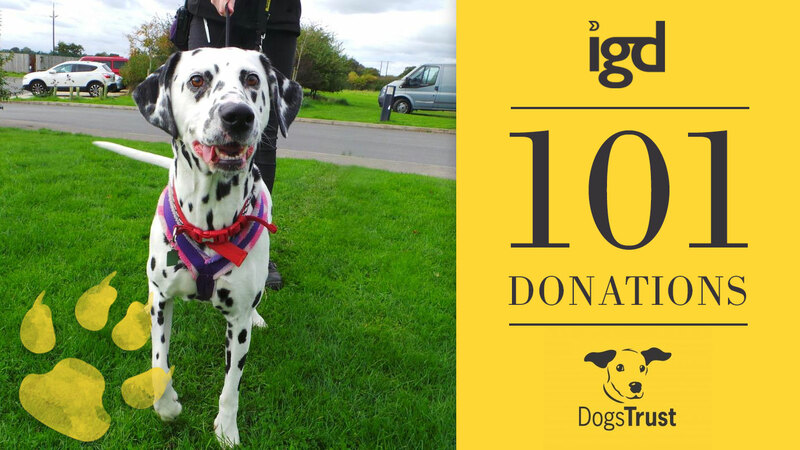 This project has been a delight from start to finish and we’re so happy to helped so many dogs this winter. A huge thank you to our talented team members for creating such beautiful blankets – they’ve made 101 pooches very happy this Christmas! Follow us on Twitter and Facebook to find out more about our visit to Dogs Trust Leeds. You can also see all their special dogs that need a forever home by clicking here.